The specially-formulated LubeIt! 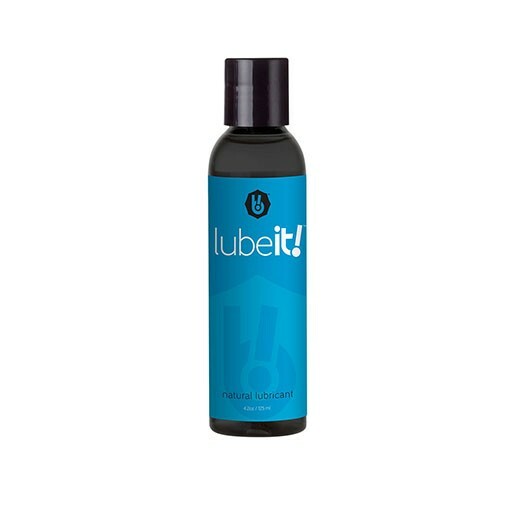 lubricant is water-based and made from all natural ingredients. Use LubeIt! water based lubricant with the BlewIt or other silicone toys. Use LubeIt! water based lubricant with the BlewIt or other silicone toys. Other types of lube may break down the material used in the sleeve, which will shorten its life. LubeIt! is never sticky or tacky, glycerin and paraben free and uniquely blended by Sliquid to emulate your body's own, natural lubrication.